PTO drive gearboxes and PTO drive shafts for dump trucks, crane trucks etc. Power take-off or power takeoff (PTO) is any of several methods for tapping power from a power source, such as a running engine, and transmitting it to an application such as an attached mechanism or separate machine. Typically it is a system comprising a PTO drive gearbox and an output shaft on a tractor or truck, designed so that a PTO shaft, a kind of drive shaft, can be easily connected and disconnected, and a corresponding input shaft on the application end. The PTO allows mechanisms to draw energy from an engine. Semi-permanently mounted PTOs can also be found on industrial and marine engines. These applications typically use a driveshaft and bolted joint to transmit power to a secondary implement or accessory. Founded in 2000, Zhu Cheng Auto Parts & Accessories Corporation is a seasoned, specialized maker of PTO drive gearboxes in Taiwan, with the biggest domestic PTO-gearbox market share for quite some time. H.L. Dai, owner of Zhu Cheng, says his company has been specializing in designing, development and manufacturing PTO gearboxes and PTO drive shafts for especially 3.49-ton-plus Japanese trucks. In conjunction with aggressive and continuous investments in product development, Zhu Cheng offers dozens of PTO gearbox models for nameplates such as Hino, Fuso, Canter, UD, Isuzu etc. The firm's products are widely adopted by dump and crane trucks on the island. 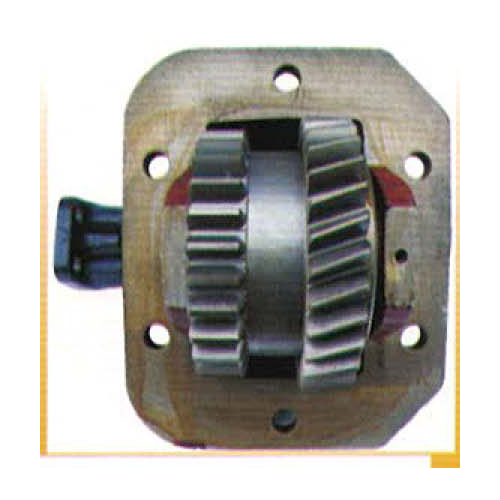 Zhu Cheng's PTO gearboxes feature the highest quality and durability, which have been proven by users in Taiwan and other nations to have set nearly zero-defect record. Thanks to the adoption of high-precision gears meeting the JIS level-4 standard and with special treatments, the firm's PTO gearboxes perform well in different industries by offering excellent reliability and durable power output. Another core competitiveness of Zhu Cheng's PTO gearboxes, according to Dai, is being 100% made-in-Taiwan. The firm designs and develops the PTO gearboxes with its own ideas and refers to similar products by leading vendors, also contracting a group of top suppliers to make the key parts for final in-house assembly. Such model, Dai says, secures the highest quality and durability level, as well as cuts costs in the fully-in-house production. Zhu Cheng's products offer customers guaranteed safety and ease of use, Dai claims, while exacting inter-part fit assures machinery always work smoothly. As result, Dai says that customers using PTO gearboxes produced by Zhu Cheng have peace of mind that their vehicles, machinery will work safely and perform as intended. After gaining solid foothold in Taiwan's PTO gearbox and PTO drive shaft market, Zhu Cheng began exporting quality products to overseas markets and have won high customer confirmation, especially in Association of Southeast Asian Nations (ASEAN) and Latin America. The company is very confident of prospects to raise overseas sales and is ready to expand production lines anytime according to market demand. Zhu Cheng welcomes inquiries for further company and product information, and promises prompt reply.